Sitabogogo is the name chosen by our grandmother partners in Sabie, South Africa. It is a Zulu word which translates as “Help a Grandmother”. They are a group of impoverished grandmothers who are often struggling with the death of their adult children due to the HIV/AIDS pandemic and are now raising their orphaned grandchildren. Many of them are caring for their AIDS infected adult children at home while trying to provide food, shelter and education for the extended family. The Sitabogogo members live in the township of Simile at the northern edge of the small rural community of Sabie in the north-eastern province of Mpumalanga. This is one of the more underdeveloped provinces of South Africa, but the Sabie area is ruggedly beautiful with forested mountains, waterfalls and canyon gorges. At 4000 feet elevation (similar to Silver Star Mountain in Vernon), it is a tourist destination for outdoor enthusiasts during the heat of summer. It is also only an hour’s drive from Kruger National Park. The main employer is the plantation forestry industry although, unofficially, the unemployment rate is estimated at 40 to 50%. More than 10,000 live in squatter shacks or, as the government labels them, informal settlements. Religion and various Christian churches play an important part in the lives of the gogos and, ironically, often so does the Sangoma, or witch doctor/medicine man. Vicky and Myriam lived in Belgium, and had a dream for their retirement years to help African grandmothers bear the burden of the consequences of the AIDS-related epidemic. As they searched online and wrote letters to South African agencies, they came upon this very website! They contacted Grannies à Gogo in Canada and Rev. Ginny Cormack in Sabie, South Africa and their decision was made. They packed up in Belgium and moved to Sabie in early 2011 to become involved with Sitabogogo and the umbrella organization, Ubuntu Care Centre. Read the full story here. When Rev. Ginny regrettably had to move away, she left the administration in the volunteer hands and hearts of Vicky and Myriam. They very capably took the reins and the project has moved forward with assurance. 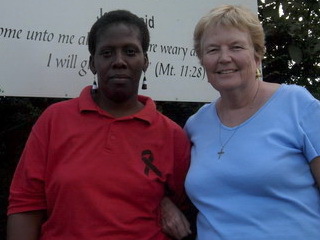 On a visit back to Sabie in January 2007 Susan met with Ginny whom she had known since 2000. Ginny had previously formed an outreach group called Families 4 Families in an effort to partner local residents with the disadvantaged African population, but it wasn’t receiving the response she had hoped for. 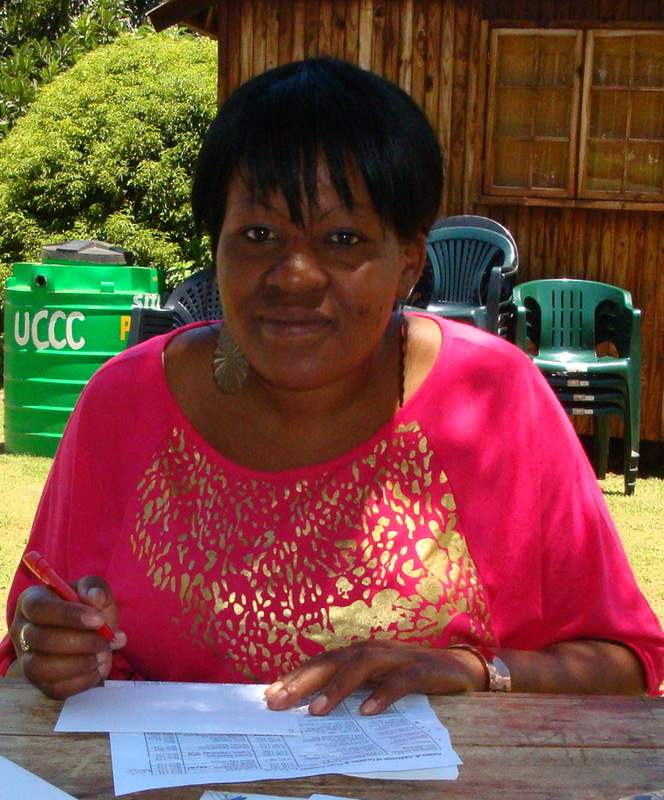 Ginny listened to Susan’s proposal and she agreed to become the volunteer administrator for Grannies à Gogo: the Vernon – South Africa Connection, under the larger umbrella of Families 4 Families. It was a win-win situation. Ginny was able to fire up awareness and plan activities with renewed zeal, knowing there was committed emotional and financial support coming from the Vernon group. 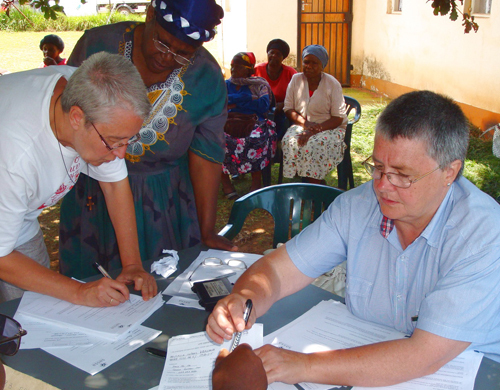 Susan was able to go ahead with forming Grannies à Gogo when she returned to Canada, knowing she had a most trustworthy contact in place to administer the project details in South Africa. Milly was the Sitabogogo Coordinator from 2009-2011, working with the gogos full time. She organized their activities, arranged guest speakers, occasional outings, and high participation events (Gogos get active). She submitted a monthly report to Grannies à Gogo in Vernon, often accompanied by photos. Ruth was the first coordinator of Sitabogogo from 2007-2009. She laid the foundation for all mentioned above and expertly brought it to its thriving state. Ruth continues as a Director of the Home Based Care Team in Sabie, which administers to the sick and the dying and their families, some of which involves members of Sitabogogo.